A front view (along Roxas St.) of the architect’s perspective of the new FC shows National Artist Napoleon Abueva’s sculpture, “Siyam na Diwata ng Sining,” figuring prominently in the complex’s design. 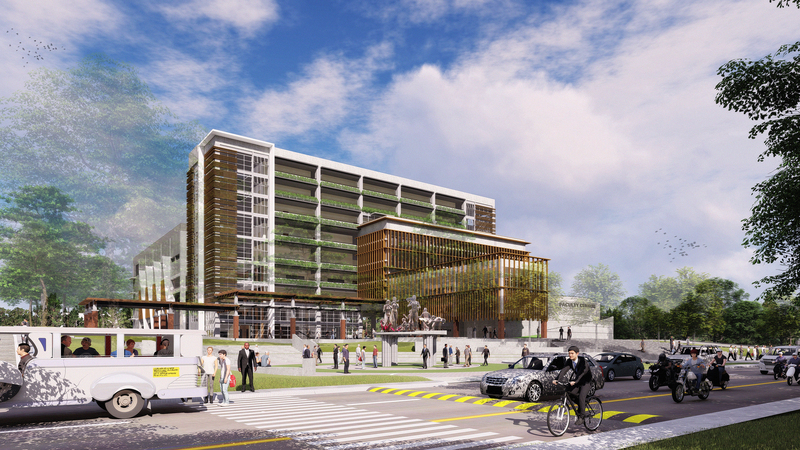 The architect’s perspective of the back (along Quirino St.) of the new FC shows the six-level parking building. Three years after it was ravaged by fire, the Faculty Center (FC) is set to be reborn as a new and improved facility. It will be a cluster of structures that includes a nine-level faculty building, a six-level parking building, a single story hall, and an amphitheater. A groundbreaking ceremony was held on January 25 to kick off the construction project. 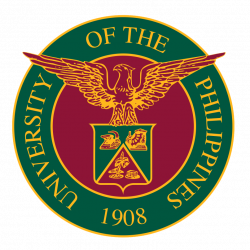 UP President Danilo Concepcion said the University expects the P675-million project to be finished on time, which is November next year. 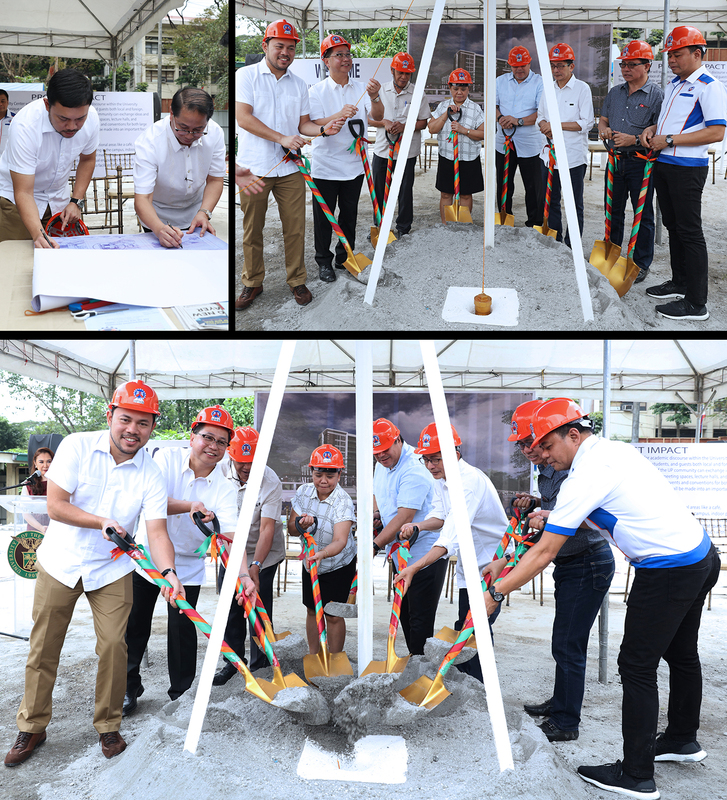 He added that UP holds the Department of Public Works and Highways (DPWH) to its promise of efficient project implementation. The agency is the University’s partner in the undertaking. 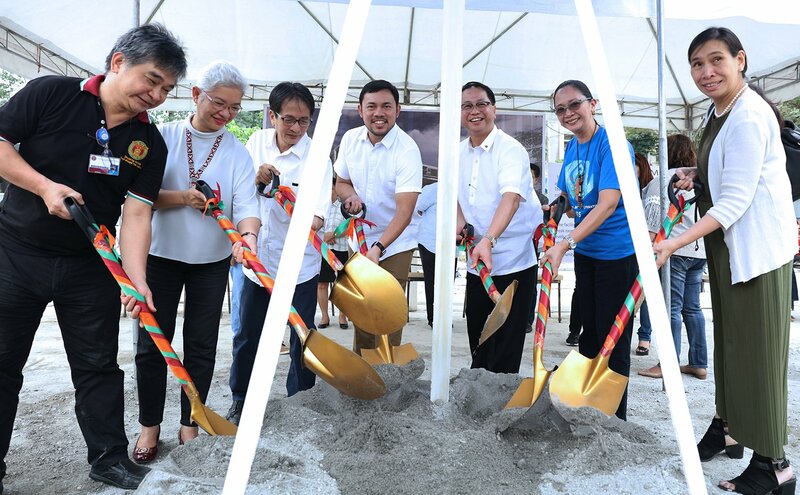 DPWH Secretary Mark Villar promised the “fast and efficient” implementation of the project, which he said is the FC that UP deserves. According to the Office of the VP for Development (OVPD), the new FC will house offices, conference rooms, meeting spaces, lecture and multipurpose halls, libraries, galleries, and recreational areas like break rooms, lounges, and a café. It is expected to accommodate simultaneous events of varying group sizes. The OVPD also revealed that the Claro M. Recto Conference Hall will remain a focal point in the new structure’s design. 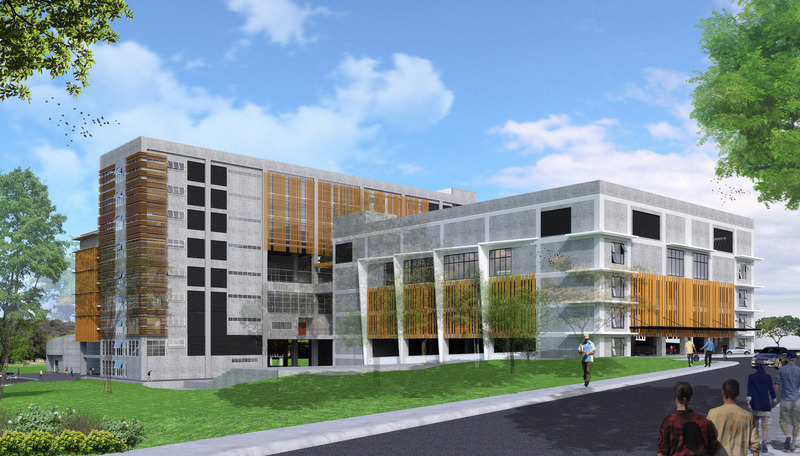 Similar to the previous FC, the upcoming building is expected to be a place of convergence and collaboration that inspires the exchange of ideas, artistic creation and development, collegial discussion, and academic discourse.